A brave young father from Arviat on the northwest coast of Hudson Bay was killed yesterday evening by a polar bear while trying to protect his children. Aaron Gibbons, 31, was the nephew of Gordy Kidlapik, who follows this blog and my twitter account. Gordy has often sent me useful local information and perspectives from Arviat, which is in Nunavut (north of Churchill, Manitoba). More below and to follow as further details emerge. My sincere condolences to Gordy and his family – what a horrific loss. UPDATE: 4 July 2018 9:00 pm PT. See correction below regarding the last fatal WHB attack, which was in 1999 (Rankin Inlet), not 1983 as my original title read. My apologies but as you’ll see, the newspaper didn’t get it right either. RCMP say Aaron Gibbons, 31, was on an island about 10 kilometres from the hamlet of Arviat, along the west coast of Hudson Bay, on Tuesday afternoon when the bear attacked. “He was enjoying his day with his children,” said Gordy Kidlapik, Gibbons’s uncle. “They were surprised by a bear that had started to stalk or charge toward one of his children. The children, described as elementary school age, made it safely to the boat. One of the girls called for help on the CB radio. Gibbons was pronounced dead at the scene. Kidlapik said his nephew would have had a rifle with him. RCMP said Gibbons didn’t have his rifle immediately to hand when the bear attacked. They said the bear was shot and killed by other adults on what is known as Century Island. Kidlapik said many in the hamlet stood on the beach Tuesday night under the midnight sun as Gibbons’s body was brought home. “It’s a very big shock,” he said. However, according to news reports at the time, that is incorrect: the date of the attack near Rankin Inlet was Friday 9 July 1999, which makes it similar in regards to time of year as the attack yesterday outside Arviat. The 1999 victim was Hattie Amitnak, a 64-year-old Baker Lake woman, who was mauled to death while trying to stop the 250-pound bear from attacking her companions, Moses Aliyak, 66, and his 12-year-old grandson, Cyrus Aliyak. 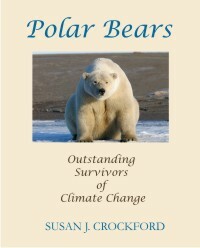 In fact, the last known Prior to 1999, a fatal attack also occurred in the fall of 1983 in Churchill, more than three decades ago, when a much later than usual freeze-up of the sea ice after a lacklustre spring feeding season left many hungry polar bears desperate for food. 1983 was one of the worst years for polar bear problems in Churchill since records began in the 1960s (see details here), although a “zero-tolerance” for bears in Churchill after a serious 2013 Hallowe’en night (November 1) mauling in town has skewed recent tallies of captured problem bears. 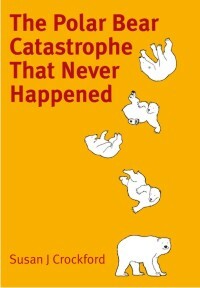 The 2013 mauling was blamed on a bear starving due to global warming, even though there is no evidence that was the case. 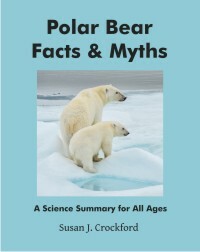 Some people implied that freeze-up was late that fall (even though the average freeze-up date in the 1980s was 8 November, which is also when freeze-up occurred in 2017), or that most bears had come off the ice in poor condition due to an early breakup of the ice in 2013, which was simply not true. That said, there are always some bears that don’t get enough to eat in spring because they lack hunting experience or cannot compete effectively with bigger, stronger bears – elderly and young bears 3-5 years old often struggle to get the food they need in spring, which is why starvation is the leading cause of death for polar bears (Amstrup 2003; Stirling 2011). Some bears may have came ashore a bit earlier than usual in the northern portion of Western Hudson Bay this year because of the particular pattern of ice breakup but that does not mean the bear involved in this incident was starving. We need to wait until information is released on the bear’s condition before any assumptions are made that this fatal mauling was due to a bear starving because of climate change. Polar bears are always looking for food even when they are fat and healthy. Whether or not habituation of bears to people contributed to this attack, it is still a tragedy for the family and the community involved. See this most recent CBC account from late today (4 July 2018). Amstrup, S.C. 2003. Polar bear (Ursus maritimus). In Wild Mammals of North America, G.A. Feldhamer, B.C. Thompson and J.A. Chapman (eds), pg. 587-610. Johns Hopkins University Press, Baltimore. This entry was posted in Polar bear attacks, Sea ice habitat and tagged Arviat, attack, Churchill, climate change, fatality, global warming, mauling, polar bear, sea ice, western hudson bay. Bookmark the permalink.